I recently ducked off to Sydney to moderate the panel for a one-day music event. It was an incredible mini-festival and I was fortunate enough to facilitate the dialogue of six diverse and entrepreneurial artists. Despite the range of experience and expertise they brought to the discussion, one thing these artists all had in common was their success paying the bills with music. During the panel we briefly touched on ‘money’ – a contentious subject among entertainers. 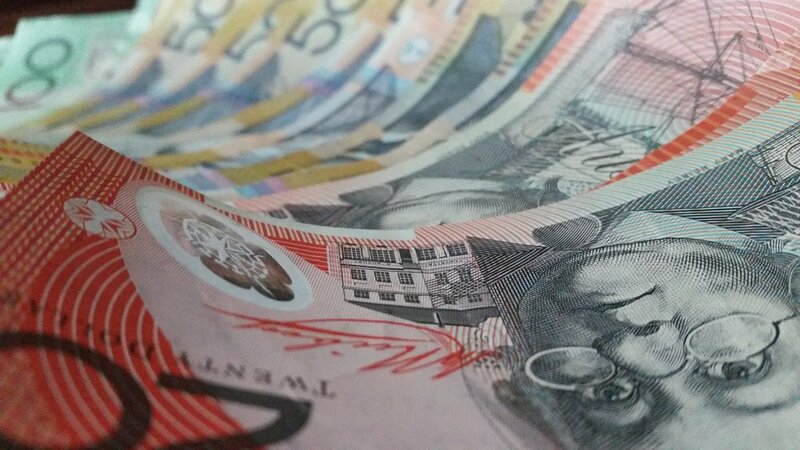 The focus didn’t stay there for long, but bizarrely, the notion of money became theme for my trip to Sydney. When I arrived it was late on Saturday evening. Walking down the bustling streets of the Inner West I was immediately reminded of nights as a uni student where I’d have to think imaginatively about how to stretch $30 over the course of an evening. It prompted me of a time and place where affordability was at the forefront of every decision and those decisions ultimately meant the sacrifice of one thing for another. The zero sum game of financial survival in the world’s 25th most expensive city - just being there again made me feel stingy. The night after the event I went back to a friend’s house. We stayed up munching on chips and dip until 1am, as she lamented her entry level salary and how anxious it made her feel earning a pitiful wage from a job she didn’t even like that much. At the airport on the way home, I realised I had zipped my book into my checked baggage. As I frantically scrolled through a list of e-books before my Wi-Fi cut out, I landed on one about manifesting financial freedom. Ironically, it cost me $4.99. Intellectualising the concept of money is a strange exercise. It’s fascinating to observe how the human psyche behaves around something that, for the most part, isn’t even tangible. I wonder if our entrenched habits around money have bled a ‘give in order to get’ mentality across to other aspects of our lives? How much of what we do is transactional, and how much is unconditional? My dad once said to me, “if you have a healthy relationship with money, you will always have enough; if you have an unhealthy relationship with it, you will never have enough.” My brother and I discussed this at length recently, and arrived at the conclusion that, truly, everything around you is just your relationship to it. For most of my musings on such existential concepts, I use myself as the primary sample subject. However, in this case, I’d like to invite anyone else who enjoys a bit of self-inquiry to join me on something. This weekend, as you go about doing nice things for those around you (which I am sure you do and which may or may not come at the expense of your time and hard-earned dollar), ask yourself, am I doing this because I expect something in return? Or am I doing this because I wish to contribute? To contribute to a world in desperate need of a little kindness right now.